The government of Prime Minister Shinzo Abe has made quick work of removing two of its Cabinet ministers accused of misusing funds during their campaigns. Economy, Trade and Industry Minister Yuko Obuchi and Justice Minister Midori Matsushima both resigned on Monday, and there are indications that Defense Minister Akinori Eto may also have to step down after it was revealed that he doctored the reporting of his political funds. While Abe may indeed be worried that his current Cabinet is going the way of its previous iteration during his 2006/2007 premiership, the fact that both ministers stepped down so quickly will likely mitigate any real damage. More pressing for his current administration will be the impact of Obuchi’s departure on Abe’s nuclear restart policy. For now, there is little reason to expect that her resignation will impede the current restart process happening at Kyushu Electric Power’s Sendai reactors. Obuchi was charged with carrying through Abe’s nuclear policy, and has said that the reactor restarts did not technically need popular approval, although Abe had stated previously that he will seek local government approval first. 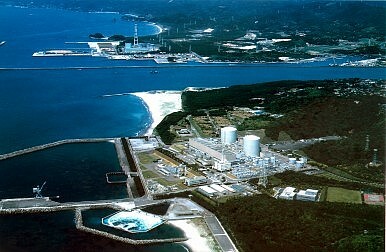 That local approval has been winnowed down by Kagoshima Governor Yuichiro Ito to just the prefectural government and that of Satsumasendai, which hosts the reactors. Other nearby towns such as Ichikikushikino and Hioki have both asked to be part of the process, but were rebuffed by the governor. Satsumasendai’s city assembly is expected to approve the restart as early as October 28, after which it must pass the prefectural assembly. Earlier this year the Minami Nihon Newspaper reported that 59 percent of Kagoshima’s residents still oppose the restart, yet the Kagoshima prefectural assembly chairman Kenishi Ikehata said Obuchi’s resignation will not ultimately affect the process. However he did say, “We were hoping that there would be more understanding (towards the restart) after a thorough explanation by the minister as a woman, who could speak from the perspective of a housewife.” The Kagoshima prefectural assembly is expected to decide on the issue by December. Forty percent of Abe’s female ministers could be on their way out of the administration.